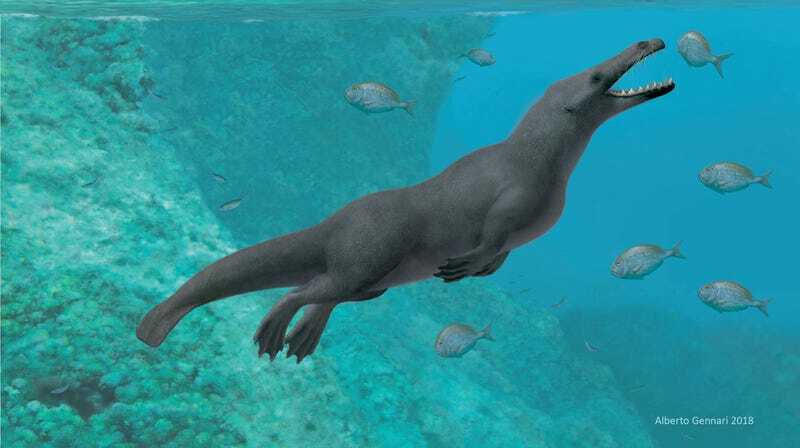 A four-legged creature that had a tail and webbed feet similar to those found on otters, has been identified as an ancestor of the whale. 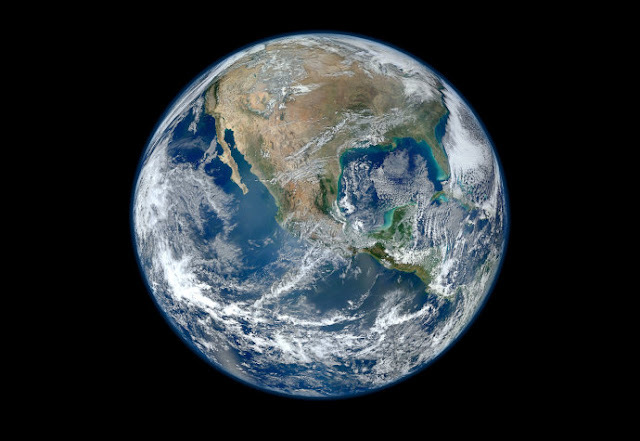 Fossils unearthed in Peru have led scientists to conclude that the enormous creatures that traverse the planet’s oceans today are descended from small hoofed ancestors that lived in south Asia 50 million years ago. While the fossils are not the oldest whales ever found, they are significant because they show these ancient creatures spread across the world from their initial populations in Asia. The new find is helping the scientists answer that question. “This is the first indisputable record of a quadrupedal whale skeleton for the whole Pacific Ocean, probably the oldest for the Americas, and the most complete outside India and Pakistan,” said Dr Olivier Lambert of the Royal Belgian Institute of Natural Sciences, who led the research. The scientists think these early whales reached the New World across the South Atlantic, swimming from the western coast of Africa to South America. They would have been aided by strong westward currents, and the fact that the continents were far closer together than they are today.